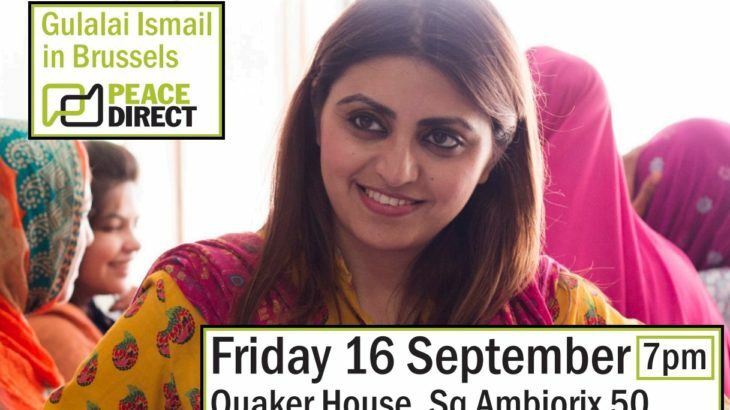 Gulalai was just 16 when she co-founded innovative local organisation, Aware Girls, in Pakistan. Driven by a passion to challenge a culture of intolerance and extremism, Gulalai began running workshops in her home town to provide women with leadership skills to challenge oppression and fight for their rights to an education and equal opportunities. Last year, with the support of international NGO Peace Direct, Gulalai and her team helped over 1,300 young people to challenge violent extremism. 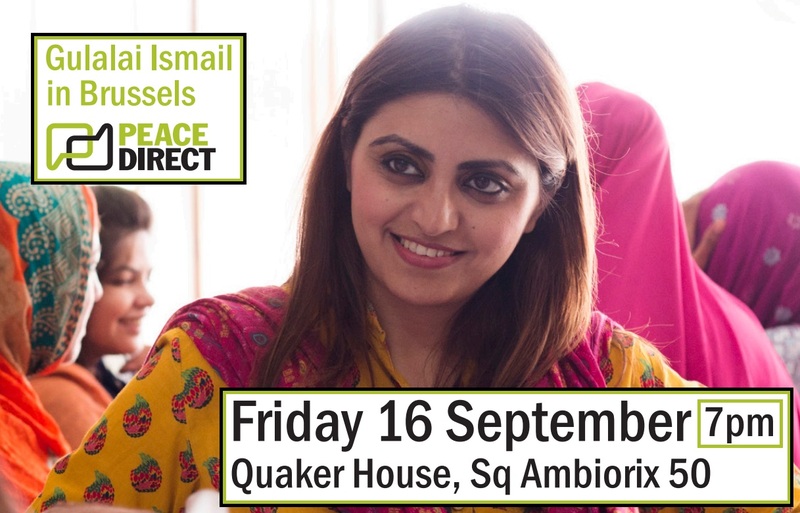 Dylan Mathews, Chief Executive of Peace Direct, will introduce Gulalai’s work and share some inspiring stories of Peace Direct’s work supporting local peacebuilding worldwide. 2016, Peace Aware Girls, Deradicalisation, Preventing Violent Extremism, PVE, Terrorism. permalink.